Proponents of a proposed two-way pipeline through New York State appear to have exaggerated the potential market for the pipeline. The Pilgrim Pipeline would be designed to carry crude oil from the Port of Albany to refineries and ports in New Jersey in one southbound pipe and refined products north in a second adjacent line. The proposed capacity is 200,000 barrels per day (bpd) each way and company spokespersons have made a point of saying that the pipe would displace that amount of crude and products from Hudson River barge traffic. However, nowhere near 200,000 bpd of crude oil has been traversing the Hudson, and in the past year movements of crude oil on the Hudson have slowed to a trickle. 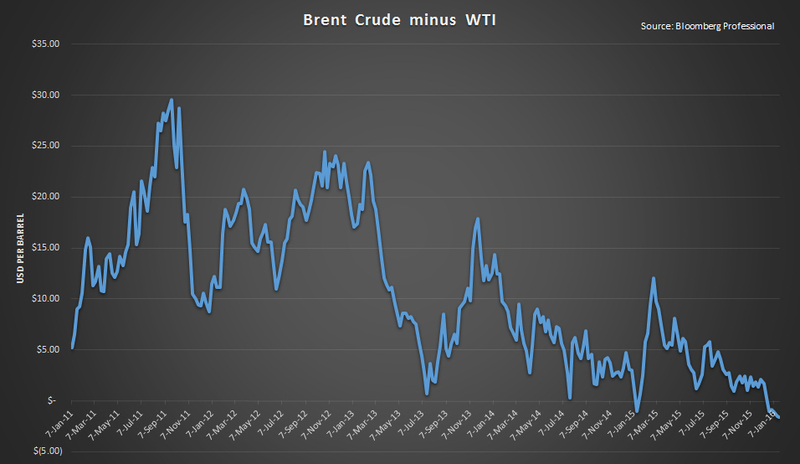 Further, current oil market conditions suggest little change in the foreseeable future. Longer term, addressing climate change will mean declining demand for oil and the infrastructure to deliver it. 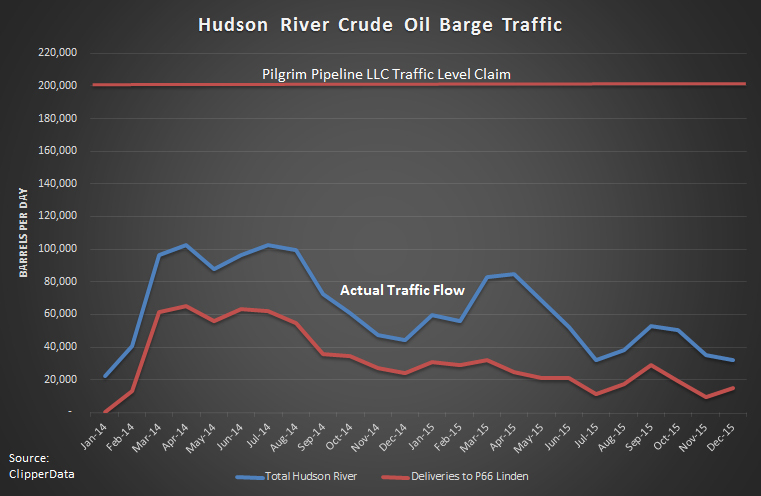 Oil Change International has obtained data from ClipperData that shows that movements of crude oil on the Hudson River averaged 72,000 bpd in 2014, and dropped to an average of 54,000 bpd in 2015. Since July 2014, movements have been in decline, falling to a mere 32,000 bpd in December 2015 (see Figure 1). At its peak, traffic was barely more than 50% of the proposed capacity of the pipeline, while the latest flows are at 16%. A level that does not justify a billion-dollar pipeline. The data also shows deliveries to the Phillips66 Linden, New Jersey refinery, which is located at the proposed terminus of the crude oil pipe. While there does not appear to be any firm contract with Phillips66, the pipeline company seems to regard the refinery as a key potential customer. 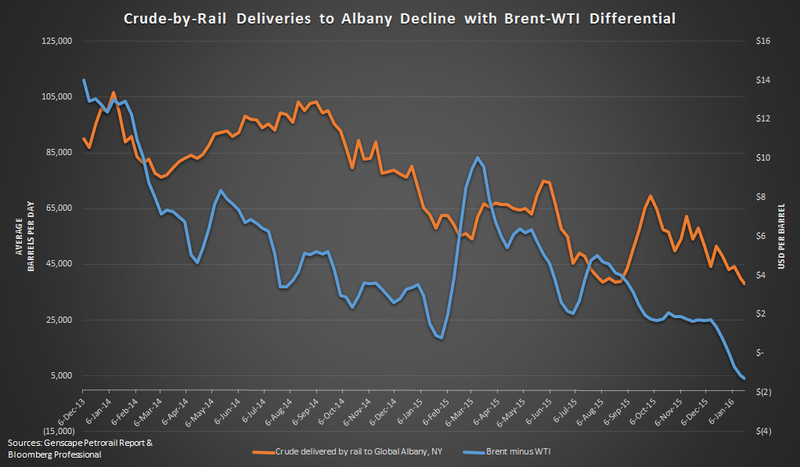 However, deliveries from Albany, NY to the refinery have been in decline since early 2014, dropping to less than 10,000 bpd in November 2015. While exports are now legal, and onward transport to other east coast refineries a possibility, the economics of delivering crude from North Dakota, Canada or elsewhere within North America to east coast refineries or ports look highly unfavorable for the foreseeable future. This raises the question of whether the pipeline proposal, which is opposed by landowners and citizens all along the route, should be wasting the time of New York State bureaucrats currently reviewing an application. The pipeline would rely on rail transport to bring crude from the hinterlands to Albany, New York, which would then be loaded into the pipeline as opposed to loaded onto Hudson River barges. A key reason this route has never reached the traffic levels the company claims is that it is expensive. This is why as global crude oil prices have plummeted, so too has the Hudson River crude oil trade. Crude-by-rail traffic grew rapidly from 2010 primarily due to limited pipeline capacity to carry growing oil production out of North Dakota. In combination with increasing oil production in Canada and elsewhere in the U.S., and the lack of pipeline capacity to take crude out of the Cushing, Oklahoma pipeline hub where U.S. benchmark oil prices are fixed, the price of U.S. crude became structurally discounted to international prices for much of 2011 through 2013 (see Figure 2). That discounting, and the fact that both benchmark prices were well above the breakeven cost of production, meant that the high cost of shipping crude by rail was easily affordable to both producers and refiners alike. As crude delivered from almost anywhere in the world can be delivered to U.S. coastal refineries by supertanker for less than $4 a barrel, and in some cases as little as $2, the discounted North American crudes could compete with international crudes and still turn a profit despite transport costs between $10 and $15 per barrel. Producers simply ate the additional transport cost to sell into the coastal market or refiners bought cheap in North Dakota and paid the rail tariff themselves. Since late 2014, all of that has changed. Not only have global crude prices fallen to below breakeven for many producers, but the discount between the WTI and Brent benchmarks has narrowed to almost nothing. A decline in crude-by-rail traffic has followed the oil price, (see Figure 3). Coastal refineries are now increasingly sourcing their crude from abroad, leaving North American producers that lack pipeline access little option but to sell at steep losses to cover the cost of rail. The result is decreasing volumes of crude moving by rail to the east coast. The trouble for the Pilgrim Pipeline proposal is that it is not a direct link to crude sources. It would still rely on rail to get crude to Albany, NY before it is loaded into the pipe for the next leg of its journey. Crude delivered this way would struggle to compete with imported crudes at east coast refineries and would be even more expensive for European or Latin American importers that would incur the additional cost of trans-Atlantic shipping. Under the current market conditions, it simply does not make sense. The Pilgrim Pipeline faces deep opposition in dozens of communities along its route. Citizens fear pipeline spills as well as the severe risk of derailment and explosions that an increase in crude-by-rail traffic would pose for people in Albany and along the route to get there. The viability of this project is clearly in question given current market conditions, which seem likely to sustain for the foreseeable future. Longer term, the urgent imperative to address climate change means that the demand for oil must decline. We simply cannot continue with business as usual and ensure a safe climate. For this reason, developing infrastructure to deliver oil for decades into the future makes no sense. New York state regulators should reject this proposal immediately and focus on the more urgent task of building a sustainable clean energy future.